In 2018, Atlassian focused its efforts on the Enterprise suite. They announced the Enterprise plan, as well as updated, upgraded, and expanded its capabilities and offerings. Let’s review what these changes mean for a regular user as well as how they affect vendors of add-ons for the Atlassian products. At Railsware, we use Jira Software for project management, bug, and issue tracking, and also offer our own Smart Checklist add-on for Jira Software. It helps to manage Definitions of Done, Acceptance Criteria, and various ToDo’s inside Jira issues without complex sub-task creation. Because it’s the Atlassian product we have the most experience with, in this article, we will focus mainly on the Jira Software suite. What is Jira Data Center edition? High availability. Active-active clustering provides load sharing, so ensures improved throughput and response time. Scalability. Running on multiple nodes, Data Center is a high-performance option that allows you to handle various types of loads. It stays stable even when thousands of users call for different system actions from various parts of the world. Infrastructure choice. Deployment options let you choose an on-premise hosting or environment of one of the Infrastructure as a Service (IaaS) vendors like AWS and Azure. SAML 2.0. This single sign-on login standard ensures simplified logging for users based on their sessions in another context reducing the overhead of remembering another pair of credentials. Disaster recovery. A disaster recovery strategy helps cope with different types of outages and keep your business running. Verified ecosystem. 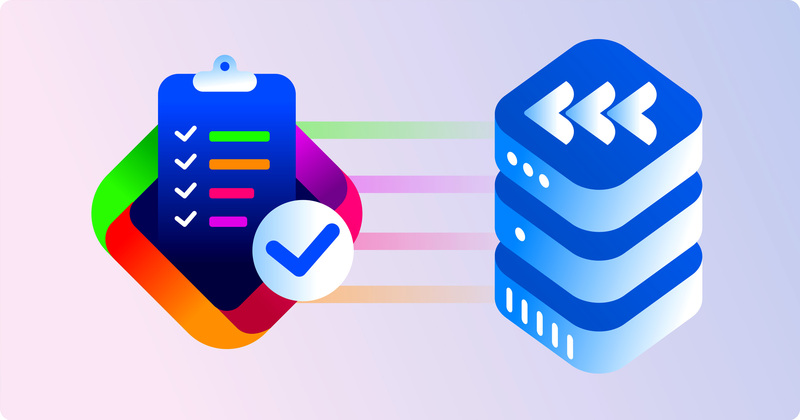 Data Center approved apps are now available on the Atlassian Marketplace representing a new standard of compatibility and reliability. Data Center has been offered as a part of the on-premise deployment option for Atlassian products since 2014. But in 2018 it was distinguished as a separate service addressing enterprise needs. The Server and the Data Center Jira Software versions differ by the type of requirements they meet. The Server edition is designed for those who prefer working in a local environment with their own infrastructure, keeping their data in the internalized storages (unlike the Cloud type of deployment). This type of license is defined by a single server deployment. It fits organizations of all sizes, from small to large: pricing ranges from 10 to 10,000+ users. The server edition is offered on a one-time payment basis, with one-year maintenance provided. Data Center is targeted at large companies and corporations. Jira Software Data Center’s offering starts from 500 users. This edition is licensed on a yearly subscription basis. Numerous software instances require another level of performance and a particular focus on high availability, scalability, and administrative control. Project archiving. With this option, any project can be removed from Jira but its data will be kept separately and stay available any time later. Running Jira Software on multiple nodes. For a more detailed guide on choosing between Server and Data Center editions, refer to this Atlassian post. For a better understanding, let’s take a quick look at the Jira Software Data Center users: a good product is always oriented at the needs of its customers. Among Jira Software Data Center adopters, Atlassian lists global corporations, employing from 4,000 to 28,000 specialists. Rakuten, with almost 15,000 employees worldwide, is a Japanese electronic commerce and Internet company. In addition to offering e-commerce, fintech, and digital services, it owns the largest e-commerce site in Japan, operates Japan’s biggest Internet bank and a number one credit card company. It also administers Viber, a popular instant messenger. Vistaprint is a Dutch global, e-commerce brand, which creates customized marketing materials and printed products. It employs over 5,100 specialists globally in its 13 offices and printing facilities. Splunk Inc., a US multinational corporation, has 4,000+ employees worldwide. It has already created almost 2,000 applications using machine learning to solve IT operations, security and compliance, IoT and industrial data related tasks. Cerner Corporation, is an American supplier delivering intelligent solutions for the healthcare industry. The company has more than 28,000 associates in 26 countries worldwide. Illumina, Inc. is an American company developing, manufacturing, and marketing life science tools and integrated systems for large-scale analysis of genetic variation and function. Its employees number over 5,500 globally. Highly technological and worldwide distributed, such companies require a high-performance, reliable, and scalable software, to successfully address own and customers’ needs. Many Jira Software users also use various add-ons to expand its capabilities and customize it according to their own needs. For the moment, the Atlassian marketplace offers 1900+ add-ons for Jira for project management, time tracking, IT service management, monitoring, and other types of tasks. However, to be used with Data Center version, they should also comply with the growing requirements for performance, availability, as well as enhanced security. Effective from September 3, 2018, Atlassian launched a new standard of compatibility, the “Data Center approved apps”. It requires compliance with the appropriate availability, scalability, and reliability standards thoroughly tested and then verified by Atlassian. These include elements of how apps handle cache operations, support required databases, implement locking and availability in clustered environments, manage event handlers, and much more. To earn the designation of “Data Center approved app”, Atlassian Marketplace vendors need to build or update their apps according to the new standards and then go through the validation process. Currently, there are 103 apps for Jira Data Center verified by Atlassian. I’m excited to announce that our Smart Checklist for Jira is one of these early approved apps! Earlier in 2018, we started receiving compatibility requests from our customers who were migrating from Server to Data Center edition. To ensure the highest performance, quality, and reliability, as well as match the needs of our existing and potential users, we have implemented several important updates and performed comprehensive testing of Smart Checklist for Jira Software. In particular, we have reviewed and updated our privacy and security documentation, strengthened our team with a dedicated support specialist and run a series of large-scale tests. As required by Atlassian, we went through four steps to validate Smart Checklist full compatibility with Jira Software Data Center instances. It is a comprehensive list of 150+ questions divided into several sections. Here are some examples of information requested about your app. Cache. In this section, you should provide information for each in­memory state that is retained across requests, including the maximum cache and the memory usage for your app on a large instance, as well as cache sources and dependencies. Database. Here, you are requested to make an overview of your database setup and confirm that app is tested against all supported databases. You should also provide some details about your app’s usage of schema upgrade tasks. Locking and availability. In this section, you should add information about your app’s availability and synchronization mechanisms as well as confirm that your app won’t cause cluster lock bottlenecks. Event handling section contains details of your app’s event handling. Scheduled tasks.You need to provide details of your app’s scheduled tasks usage like job cluster-awareness or triggering frequency. Other sections include transaction management, resource usage, on-disk storage, and functionality. Special attention is also paid to security measures and users’ data handling mechanisms. App testing and documenting the results. The app vendor should complete a series of tests aimed at evaluation of app performance in an environment that simulates a large-scale Data Center instance. A large Jira instance is defined by Atlassian as that with 100,000 users, 2,000,000 issues, and 2,500 projects. The testing results should demonstrate deployment, installation, upgrade, and data consistency in multiple Data Center nodes as well as compatibility with standard Data Center multi-node deployment on AWS and Azure. It’s worth noting that Atlassian does not conduct the testing themselves, they make a decision based on the provided test readiness checklist and testing reports. Instant support is very important for Data Center users. So at this stage, you should confirm your ability to quickly resolve issues if there appear any as well as react to customers’ requests. It includes a clear description of the support escalation process and contact details along with providing service license agreement. Once we have received the approval of the Atlassian team confirming that Smart Checklist for Jira Software completely meets the new Data Center compatibility requirements, we were able to move to the final step, which in fact is simple uploading to the Marketplace. Railsware is recognized as an Atlassian Top Vendor, which means meeting Atlassian requirements for the app traction, timely support, and reliability. We are committed to delivering even better customer service. With the release of this Data Center compatible version, we expect to improve the experience of big teams with streamlined management of the recurring software development and other project management processes.